Hello everyone. I came up with an idea that I thought would be fun to do and share progress on. Zoo Tycoon 2 remains one of my favorite games and I know that many others still enjoy it as well. As such, I believe that the forum should have a mascot to represent the site in the game. 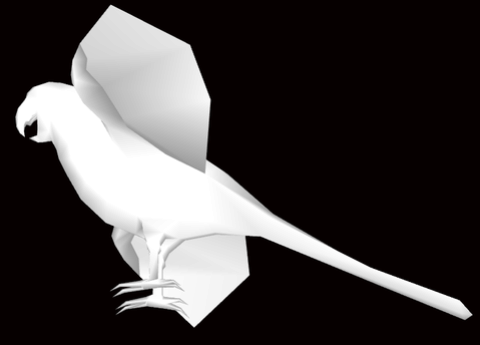 A decision was made that the animal of choice should be a parrot, and so it is this parrot I will be working on and showing progress on. 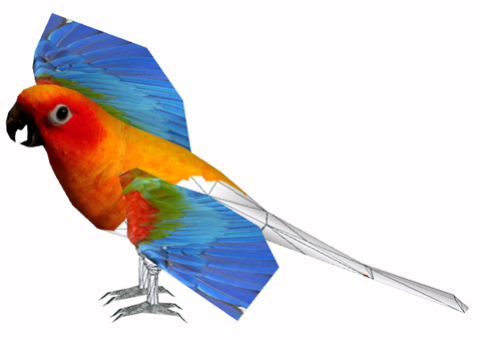 There will be aspects to the parrot that have not been decided on yet, such as a name and what should be featured in the Zoopedia but that can come later. So here we go! I chose to start with the Spix's Macaw from ZTABC Teams Aves expansion pack. 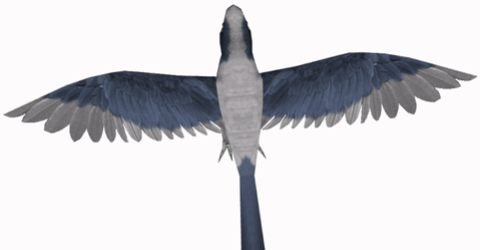 The macaw's model is my base but I have made a few small edits to the model. I may make more model edits. If I do, I think I'll make the wings wider, but this is a start. For the skin of the parrot, I intend to make it blue and gray to match the forum. I hope to have regular updates to show you guys, but for now, enjoy the brief preview and perhaps be thinking of a name! But don't share name ideas just yet. I have a small update for the parrot! I am working on creating a skin and texturing it. These will definitely not be the final colors as they'll be grays and blues but I wanted to show some progress. While I am at this step, I am open to hearing just a bit from others. My main question is this: Do I need to make the eye smaller or does it look okay? Maybe the eyes could be a little smaller. Alright so here is a slightly updated skin with smaller eyes. Does this look better or is the eye too small now? The re-coloring process has begun! Time for another update! I've begun work on the alpha channel and am rather pleased with it. I might make some minor tweaks here and there to try reducing some of the jaggedness and pixelated appearance. So we are now another step closer to coding work and in-game testing, so soon I'll be needing some input on a name and Zoopedia information! 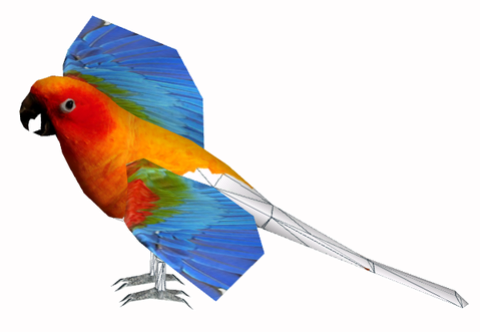 Work on the Zoopedia has begun and I am looking into coding the macaw to have a personality. Slowly but surely the release is nearing! It is looking good @silverwren . Not really, I'm still trying to iron out a few bugs. But as soon as I can take care of them, it will be ready for release. 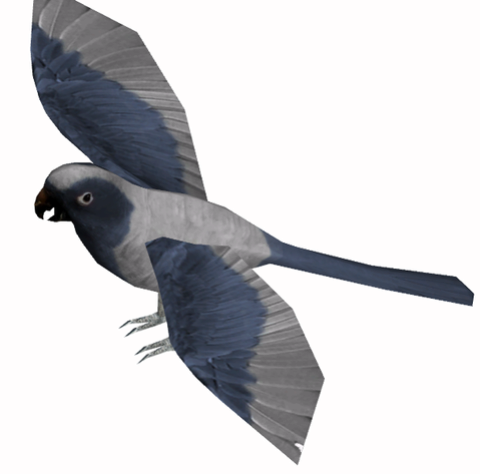 The gray parrot looks cool! How is the egg laying coding coming along? Would it have more than one egg? So far I haven't touched the egg coding beyond the size of the egg. It currently only lays one egg. Should I maybe see about bumping that up to 2? I don't want to do too many or it will likely over-populate an enclosure fairly fast. I am back to work on the parrot, and I really do hope to have it finished soon. I ended up starting the coding over again because I was having trouble and weird problems. I nearly have the adult animals worked out and there are some behaviors that I will just be dropping from my plans at least for now. An example is the personalities. I may release updated versions in the future and perhaps one of those will have the personality coding once I work out how to do that. Right now, I am working on fixing issues with the baby birds such as their inability to move faster than a snail. I am also trying to add flocking behavior which actually works like the herding coding where the animals tell you that they are going to join a group. So far I keep getting birds that will gather into a group but it doesn't say why and doesn't fulfill the social needs. If I can't get that to work, then it too will be added as something for a future update if I can ever get it to work. Progress has finally been made! Finally the flocking coding is working so I have a few more things to try tweaking here and there to see if I can get them to work and then the parrot will be ready for release! What biome have you picked for it? I've chosen tropical rainforest for it, with Brazil for the world location. Sounds good. Are you coding it for RR biomes? No, at least not for now. It is compatible with RR. But I want it to work for those without the RR biomes. Maybe I will try making an RR biomes coded one but for now I thought simpler was better. Well, I've updated the skin for the male slightly. It no longer has the jagged, pixely edges. I am also looking into making two versions, one to work with the Radical Remake biomes and one that doesn't require RR. I know the parrot is long overdue but I am still working on it when I get the chance. While I don't have images at the moment, I have updated the skins on the male, female and young. I will soon be updating the sick and dirty skins to reflect these changes. I am also working on fixing some coding yet to get the parrot to behave as desired. On the bright side, the parrots do flock properly when they decide to do such. On another note for coding - the parrot will not be coded to require the RR biomes but it does work fine with RR. Thank you. It is a fictional species actually. But I would say it does take inspiration from the Spix's Macaw. A long overdue update! I changed the skins on the male, female, and young. Not a huge change but just enough. Along with this, I have given all three their own sick and dirty skins. There's just one more coding quirk to figure out and then this time, it will be ready for release! I know I said that last time but I couldn't resist fixing up the skins and giving them new sick and dirty skins. At long last the Macaw has been released! I hope everyone enjoys it. 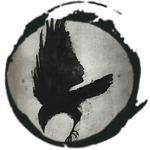 Keep an eye out in the future for possible updates to it and future project announcements! 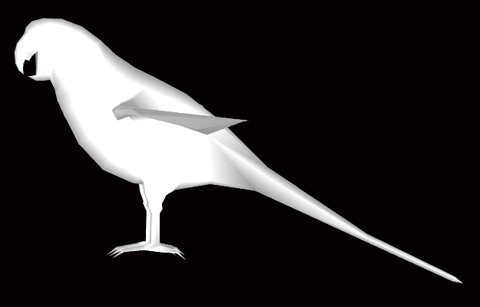 I always love it when people create more birds for ZT2! Well done! Good parrot model. @silverwren: I may (if you want to) code your parrot to be compatible with RR biomes. Thank you for the offer, I really appreciate it! However, I'll code it. I need to learn and from the looks of it, it should be fairly simple, but still, thank you again for the offer! The RR-compatibility codes are quite simple, but remember to add them to egg-coding as well. I'm waiting for the parrot to see it in game. Good luck with the coding! It has been released already. Yeah, I've noticed that after I wrote about it. The parrot will be great addition to the ZT2 gameplay! Thank you, I hope everyone enjoys it. You did a great job on creating it for the forum. Thanks. I will locked this topic. When you want it open, you can re-open it.